Now that the Super Bowl is over and the New York Giants are NFL champions, an entire new image of the team will come across the sports wires and on our television screens. Overpaid analysts will tell us what this title means to the people of New York and how they knew the Giants had it in them all along. And in turn, we will quickly forget that ESPN’s and FOX Sports’ best wrote the Giants off with about three weeks left, jumping back on the bandwagon of the Dallas Cowboys and even the Philadelphia Eagles. New York had to make believers out of a lot of people and finally showed the mainstream sports media that they’re worth the ink. The Giants have earned their top spot. Now, the same people who discredited them after a tough loss to the Seattle Seahawks in the middle of the regular season will be eating their own words while putting on a smile and bowing down to the almighty G-Men. New York truly stunned the football world this year and this Vince Lombardi Trophy had a little more emotion behind it. The title loudly throws New York right back on the football map since the team’s last championship in 2007 against — oddly enough — the New England Patriots. It also only proves that this team has always had it, despite what the critics and hot shot analysts think. Yes, any championship takes a franchise to a whole new level. But for the Giants and their staff and fans, I believe this year’s title run is even sweeter than others in the past. In this week’s episode, Craig and Wade give you an inside look into Sunday’s big game. Super Bowl 46 takes over the show as the hosts preview the Giants’ and Patriots’ offenses, defenses and the intangibles. Also, the show uses some famous voices in its bumpers. If you can guess who each person is at each segment break, you can win a prize. Send your guesses through our mailbag or straight to wademcmillin@gmail.com. 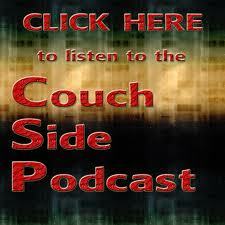 Click below to listen to the Couch Side Show podact. The 2011 Super Bowl will feature a rematch of 2008’s classic Giants–Patriots showdown. The Giants are coming in hot, but the Patriots are the favorite to hoist the Lombardi Trophy. Couch Side Show bloggers Chuck Constantino and Trevor Gould weigh in on the matchup. TCG (Trevor Courtland Gould): Tom Brady, the one and only. He is too good, too clutch, and too fearless to be denied his fourth Super Bowl championship. He has established an unshakable rapport with his receivers and tight ends, and at the end of the day is one of the greatest players to ever set foot on a football field. CC (Chuck Constantino): Tom Brady. His drive and determination are second to none. Brady holds total control of his offense and will simply play chess with the giants secondary. While Eli Manning is on fire right now, his receivers are constantly bailing him out on questionable throws. For every dime Manning throws, there’s sure to be a few more ducks. 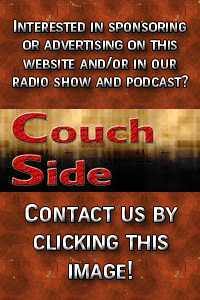 In this week’s episode of Couch Side, Co-Host Craig Paul makes his debut, joining Couchsideshow.com editor Wade McMillin in a NFL playoff preview. 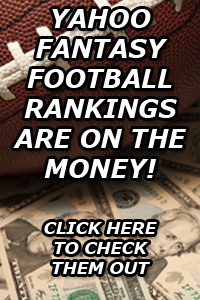 The pair breaks down each weekend wildcard matchup in the NFC and AFC and also examines the top seeds in both conferences. Keep listening and also see Couch Side’s take on quick NFL headlines that include the firing of Rams coach Steve Spagnuolo, Bills defensive guru Dave Wannstedt’s promottion and Rex Ryan’s tears. You won’t want to miss this episode of Couch Side!